VCU continued to put thoughts of their three-losses-in-four-games stretch to rest Thursday night, vanquishing their city rivals from Richmond, 56-50. While the depleted Spiders didn’t appear on paper to have the manpower to match up with a Rams squad fresh off an upset of Saint Louis, it was still a rivalry game in which anything can and did happen. Richmond’s 26-22 halftime edge and 11-point lead with 15 minutes to go was enough to prove that. Still, the comeback win was encouraging and important for VCU’s push into March, and also emblematic of the reason Shaka Smart’s club becomes so dangerous come tourney time. A look into Smart’s numbers away from home and against familiar opponents while at the helm demonstrates why opponents hate to meet the Rams late in the year, no matter the game’s location. 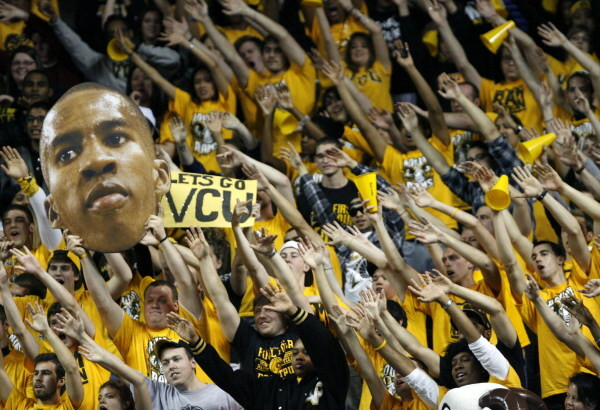 Everyone knows about the well-documented defense that VCU employs. The attacking Havoc style has been alive and well all year long, as the Rams currently rank third in the Atlantic 10 in defense (allowing 66.0 PPG coming into the match-up with Richmond) and lead the nation in turnovers forced. The key to this team’s success, though, is in its balance. VCU also ranks second in the conference in scoring, making it the only team in the A-10 that can boast top-three rankings in both statistical categories. That means the Rams can hound their opponents to death with the full-court press, but also boast five starters averaging at least nine points per game. While Richmond’s formidable match-up zone defense had its way with Smart’s offense for the bulk of the game and there was a definite lack of impact from the bench, the frenetic pace the Rams employ and the variety of scoring options at their disposal proved vital in the second half and illustrated why they’re a scary team to meet late in the year. The word entered the college basketball lexicon long enough ago for it to be a household term nowadays, but there is still something very fresh about the “havoc” being created down in Richmond. Shaka Smart coined the term years ago to describe the manic brand of hoops his VCU teams employ, and Thursday night proved the catchy maxim apt once again, as St. Joseph’s couldn’t stand up to the “wide and general destruction” (the definition of havoc, per Merriam-Webster) caused by the Rams. If havoc doesn’t do it for you, we can just go with relentless. VCU found a way to come back from four down with 15 seconds to play, tying it with seven ticks left, and then forcing Carl Jones (21 points, five assists) to cough it up on the final St. Joe’s possession. 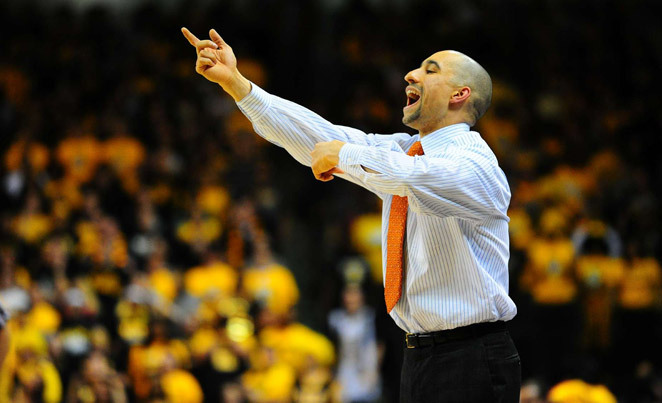 There was no doubt that momentum was on the Rams side entering the extra period, and overtime was a five-minute display of everything Shaka Smart prides himself and his players on. St. Joseph’s had more turnovers than field goals in OT and looked completely out of gas, to the point where Phil Martelli’s bunch simply stood and watched as VCU, up eight with a minute to go, dribbled out the entire shot clock. Standard game theory would have suggested an early foul in an effort to extend the game, but too many hands on knees dictated action here — the Hawks simply couldn’t stand any more of the havoc.